Did you just buy a used car? Don’t forget to do these things. Once you’ve signed the paperwork and driven the car off the lot, it’s easy to get excited and forget that your work isn’t actually over. There are a few things still left to do before you can speed off into the sunset for a carefree cruise in your new vehicle. Follow the guidelines below from Cars R Us to make sure you haven’t forgotten anything. Buying a car is always exciting because everything is new. Even if you buy a used car, the interior, exterior and handling is all new to you. Not only is it fun to drive a new car, but it’s also fun to show it off to your friends and family! Unfortunately, it often takes some time to adjust to the unfamiliar controls and functionality of your car’s features. The best way to get to know your used car is to read the owner’s manual. A quick scan through that book will inform you of all the great things you car can do, where to find hidden features and how to customize your car’s audio settings to your liking. In order to legally drive the new car you just bought, you’ll need to insure it. Before making the purchase, you should have already checked with your insurance provider to get a quote to cover the vehicle and details on what your coverage entails. To be legally covered with car insurance for your new vehicle, you will need to give your insurance provider the vehicle’s VIN number and pay your premium before your coverage will begin. 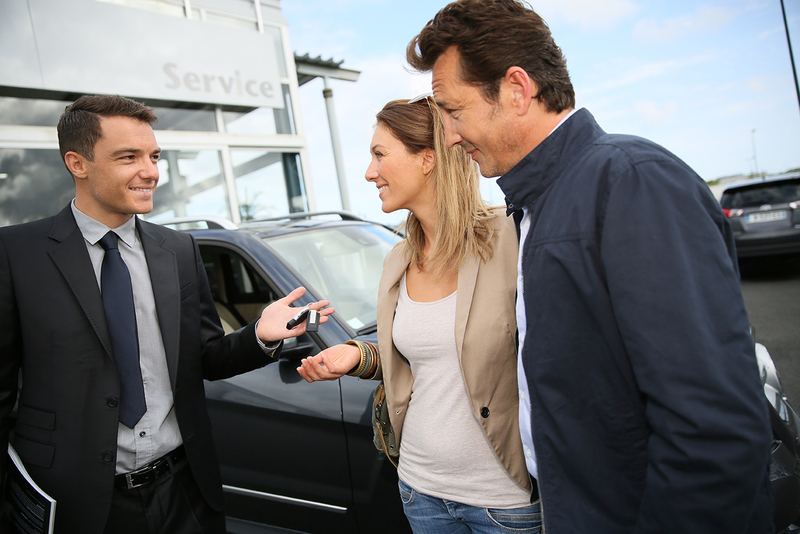 When you buy a used car, the dealership will give you a temporary registration. This allows you to legally operate the vehicle while also giving you a grace period to register your car at the DMV. Check your local DMV website for details on the required documentation and forms of identification you will need to successfully register your used car. Although the dealership most likely already thoroughly cleaned the interior and exterior of the used car you just bought, it doesn’t hurt to do it again – especially if you’re a clean freak! Start your maintenance plan off right by giving your new-to-you car a thorough vacuum, wash and wax. If you buy a used car from an individual seller, you may want to steam clean the interior to wash away any remaining stains from the previous owner. Once you’ve checked the above items off your to-do list, all that’s left to do is enjoy driving your new car! If you’re still hunting for the perfect used car or you need some help choosing, stop by Cars R Us, conveniently located in Strafford, Mo. We are more than happy to help you buy a used car that fits your budget and your preferences. Continue browsing our website to see the vehicles we have available or stop by the lot for a test drive today.